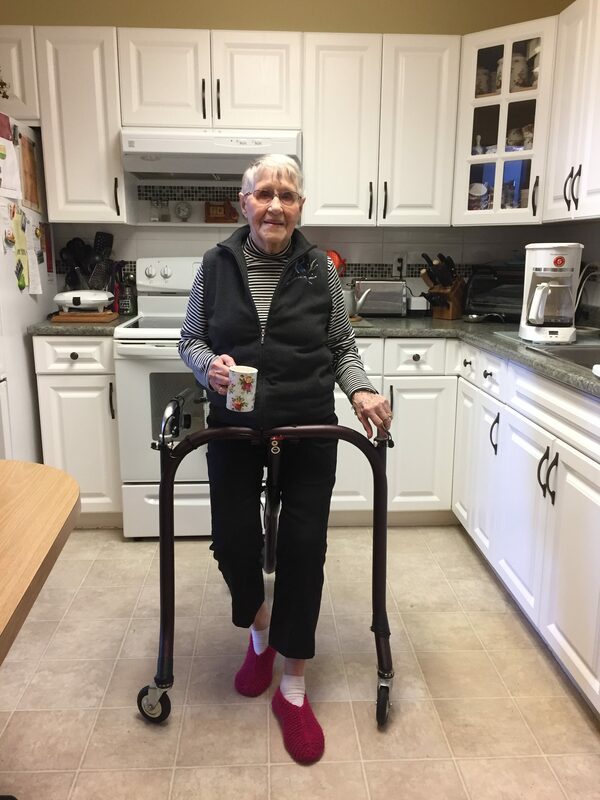 The BiKube™ is an exciting new hands-free indoor mobility device that combines sleek design with functionality to help people with mobility challenges maintain their stability and independence while navigating tight spaces around their home. 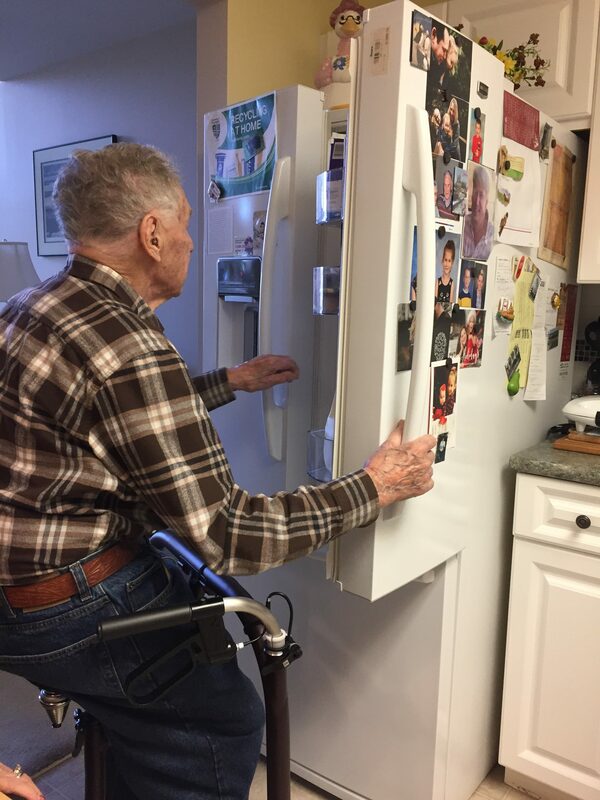 Our device is specifically designed to give our users back their independence so that activities like cooking, entertaining, and staying active can be maintained with ease. 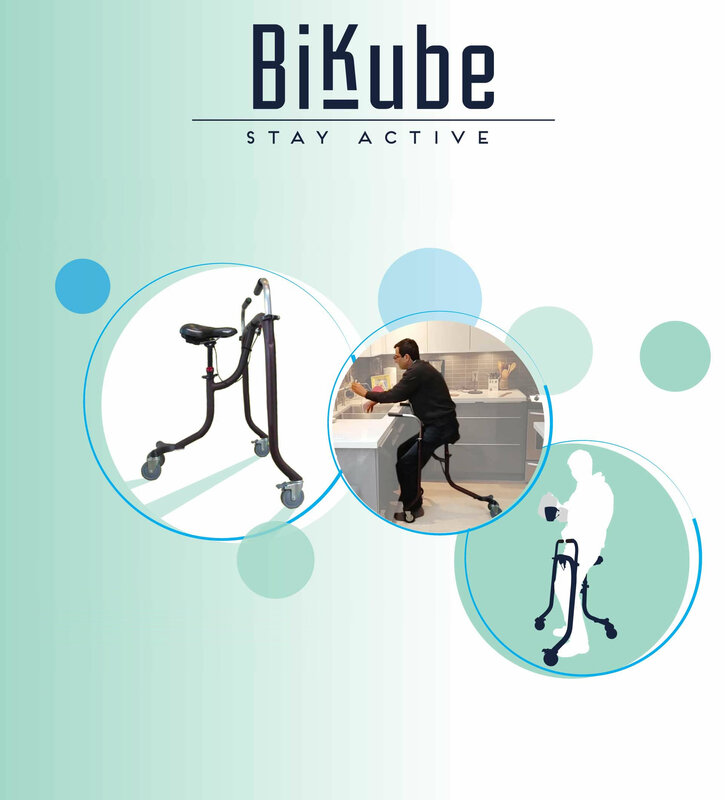 Keep both feet firmly on the ground and your head held high with the BiKube™. 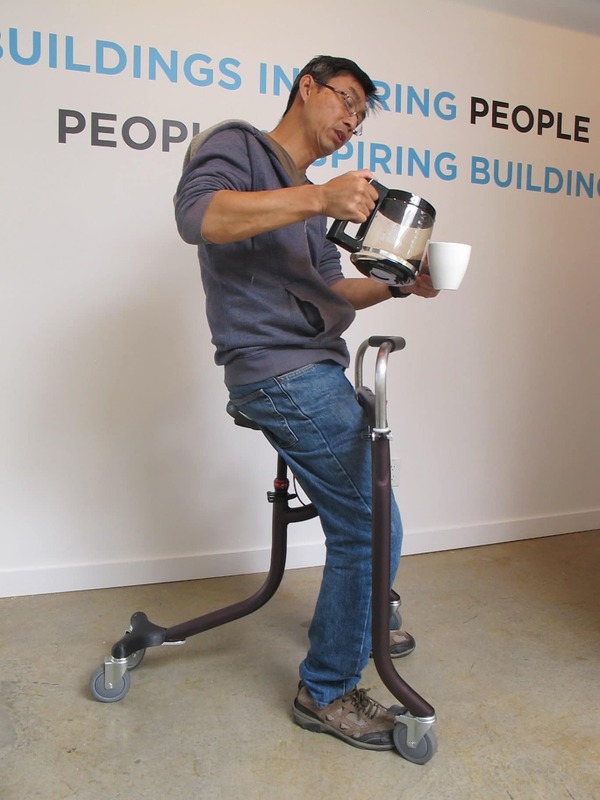 Unlike walkers, feel free to carry things around, make yourself a cup of coffee and take it with you. Stand straight and maintain eye contact. No more leaning forward! 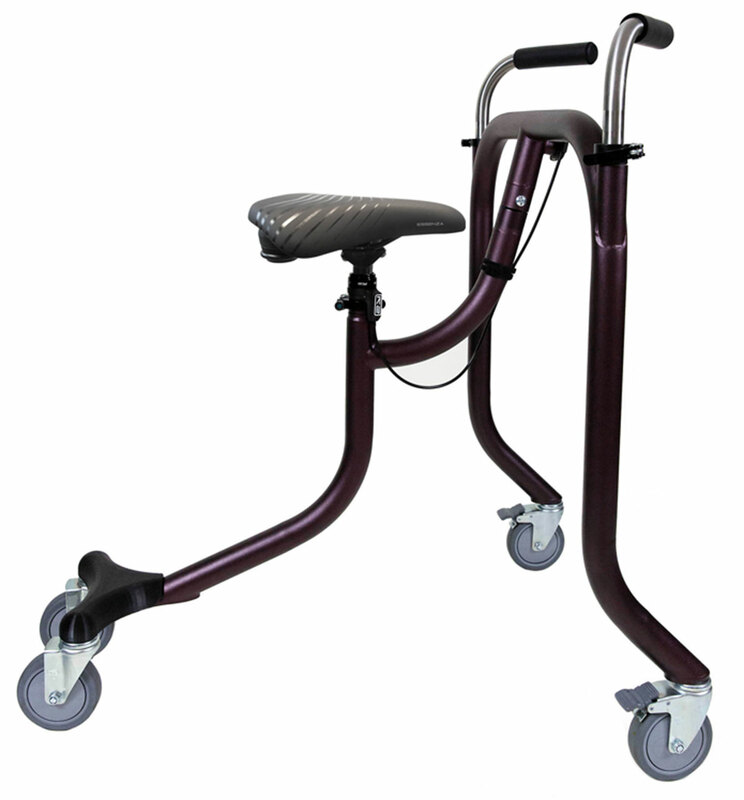 Relieve your legs and decrease muscles and joints pain in the hips, knees or ankles. Amanda Richmond is a 10 years experienced Occupational Therapist in Vancouver, Canada. 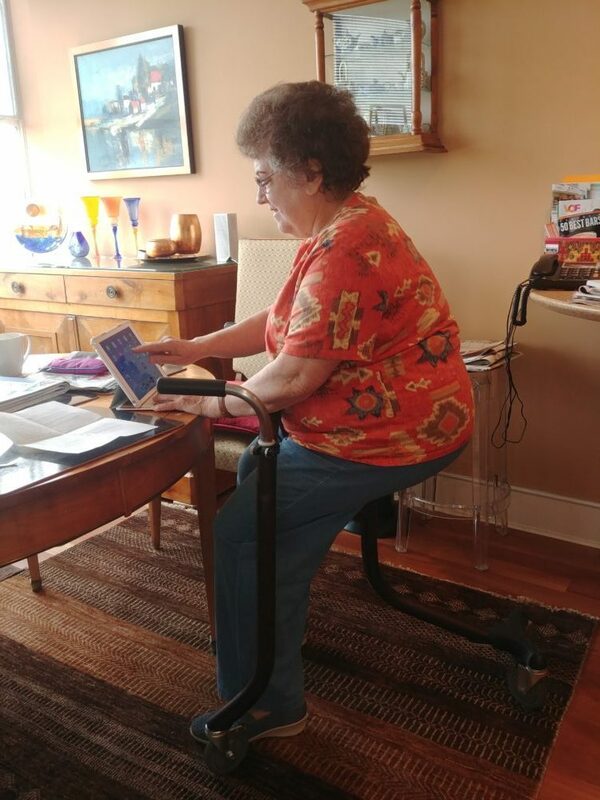 She immediately found the BiKube™ extremely helpful for people with reduced mobility whether in rehabilitation from accident or surgery or people in need of more support. 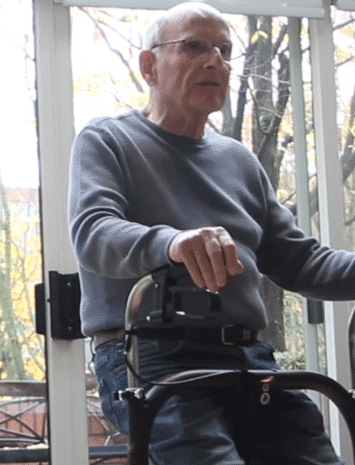 The BiKube™ would allow them to stay active and independent. Even for the most simple thing of walking from the kitchen to the bedroom with a cup of tea in your hand. Listen to what she has to say. Once seated, adjust the height of the seat according to YOUR ACTIVITY. 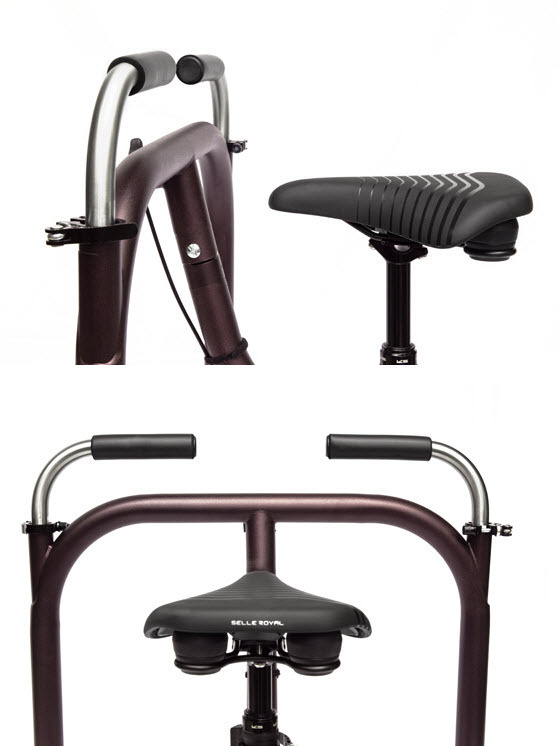 The seat height adjustment helps you TRANSFER to other low or high seats. 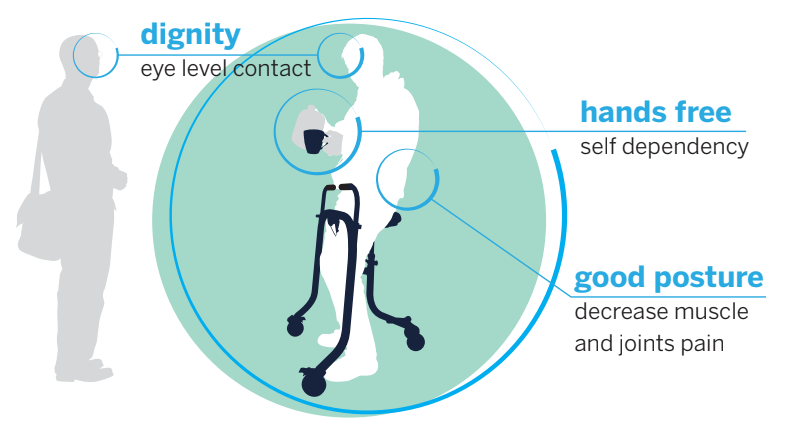 Experience AUTONOMY AND FREEDOM of movement thanks to its four rotating wheels and wide base.